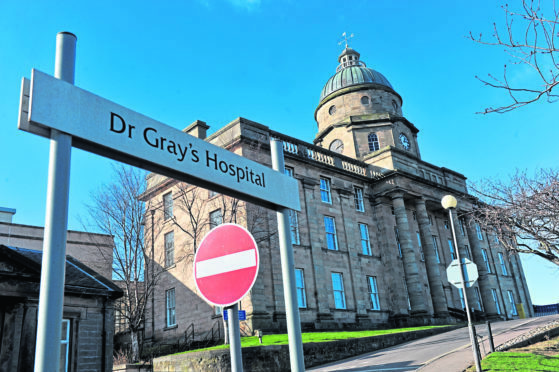 A series of public workshops will be held in Elgin over the next week to identify how best to deal with the chronic issues that have brought the hospital to national attention. Its maternity ward was downgraded from a consultant-led service to a midwifery one due to these problems and the children’s ward at the Elgin hospital is now shut at weekends. The workshops will form a vital part of the action plan that is being drawn up to save the paediatric and obstetric services in Moray. Details of the plan are to be announced by Cabinet Health Secretary Jeane Freeman on Friday August 17. It is expected to set out exactly how NHS Grampian will reinstate a consultant-led maternity service at Dr Gray’s. Ms Freeman visited the hospital last week to deliver an ultimatum to the health board and set a deadline for a detailed plan. The workshops are open to the public and will be hosted by Pam Gowans, Chief Officer for Health and Social Care Moray, and Graham Jarvis, Director of Education and Children Services at Moray Council. They will include tabletop discussions focused on each of the key challenges facing the service. Ms Gowans is inviting concerned locals to attend the workshops and be involved in the plans. “We understand this has been an unsettling time for patients, staff and the public but it is vital that we now come together as a community to make sure that we are really clear about what the future service should look like. Elgin’s Alexander Graham Bell Centre will play host to the workshops on Saturday August 11, from 10am to noon and then on Tuesday August 14 and Thursday August 16, from 6.30-8.30pm each day. Moray MP Douglas Ross has welcomed news of the public workshops in Elgin and spoke of the importance of local people attending them. He said: “It is vitally important that the whole community comes together to make it very clear that we demand the restoration of these vital services. “The public workshops provide an opportunity for us all to make a contribution to the planning process so that we get this right and to ensure that Dr Gray’s is put on a sustainable footing for the future. MSP for Moray Richard Lochhead also encouraged interested people to put their opinions across at the workshops. He said: “The Health Secretary has been clear that the plan should be developed in conjunction with staff and the Keep MUM campaign.